Before I start, I did a short vlog where I predicted who would make it to top 10. Check it out if you’re interested! Okay, now lets find out who fills up the rest of the top 10. Seo Kyung Duk was super good in my opinion. I guess the criticisms are more on the technical side, stuff I’m not familiar with. When I compare this performance to other performances, it was way better just like his very first audition. He sounded just fine to me and I was, I guess, mesmerized by his voice. Park Ka Kyung was cute. The remake of the song was good. She had stage presence. I can’t really put my finger on it, but for some reason I couldn’t really watch it without feeling a little cringe-y. First of all, I freakin’ love Park Hyo Shin’s “Wildflower”. Second, I love Lee Si Eun and I loved it her performance. Frankly, I’m not quite sure what JYP was talking about with angles and light. Okay, I understand what he’s saying but I kind of agree but mostly don’t. For me, I don’t know, but it’s like I’ve been feeling what she felt. Maybe it’s more a personal thing to me and that’s why I was able to enjoy it. Don’t hate me for this but I think YHY suggested her to sing that song because she hasn’t exactly found her emotions yet. I think he was hoping that this song would bring something, but if not then at least she could impress with her vocals because it’s a super hard song to sing. 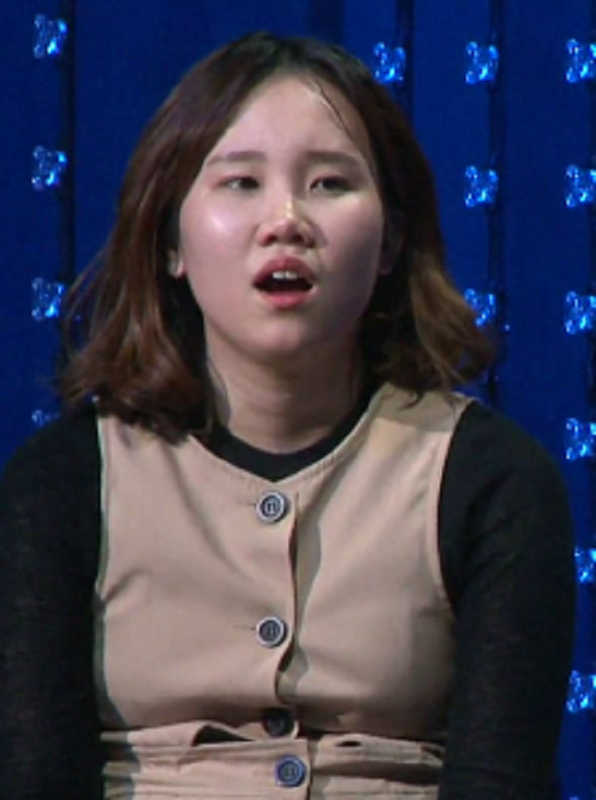 Nevertheless, Lee Si Eun makes it to the top 10 while Park Ka Kyung was eliminated. Truthfully, I wasn’t expecting much from Ryu Jin. But yeah, she definitely exceeded my expectations and more. JYP noted she looked super peaceful and relaxed. You could feel her peacefulness throughout her whole performance. It was great! Joo Mi Yeon, I wished she would have, I don’t know, moved more. She seemed kind of stiff. She sang an r&b kind of song and I feel like she needs to do some body waves or something. She sounded really good though. I really love her voice. Now it’s time for a bathroom break, at least for Yoo Jay. She’s so cute. Yoo Jay comes back and sings and this was my face the whole time. Damn, she was so good. This was probably my favorite performance by her. She looked so relaxed and she sounded so good. I wasn’t completely convinced if she was as good as JYP kept on saying she was. But after this, call the police cause she’s stolen my heart. Yeah, someone needs to stop me. Obviously, Yoo Jay makes it to top 10 while both Joo Mi Yeon and Ryu Jin place second and have a second chance into making it in. Next week it looks like we’ll see who rounds out the rest of the top 10. Stay tuned to qtkpop.com! While you’re waiting, check out this video we made. This video is not one of ours, but everyone needs to watch this performance of “Wildflower” by the man himself. It’s so good. What happened to the boyish 17 year old girl who sang Mom on KPOP Star 5 episode 2? Was she eliminated? Truthfully, I’m not quite sure but I think she was. They never really showed her after that episode. I think she made it up to casting rounds because I remember seeing her in the crowd. I hope that helps! I thought I saw her in the group as they began the process of cutting down to the top 10. The whole androgynous thing is very in vogue right now. So, for these reasons, I thought we might see her sing another song as a dark horse entry for the top 10. I just find it surprising that someone with such a promising first round performance just disappeared from the show without explanation. I think she stopped right before casting rounds and wasn’t cast into any of the companies. But yeah, she wasn’t really on the show a lot, just here and there. You never know, she might be back in a year or two better than ever!